At Aurecon we are committed to driving continuous improvement in our Health & Safety management system. It was pleasing to hear recently that the Lighthouse Club, a Hong Kong based construction industry charity, awarded Aurecon the Derek Smyth Safety Leadership Gold Award. Another way that we keep improving the way we do business is by investing in specialist areas such as Building Information Modelling (BIM). A process involving the generation and management of data and digital representations of physical and functional characteristics of places and objects, BIM can benefit developers, designers, owners, occupants and asset managers across the built environment. 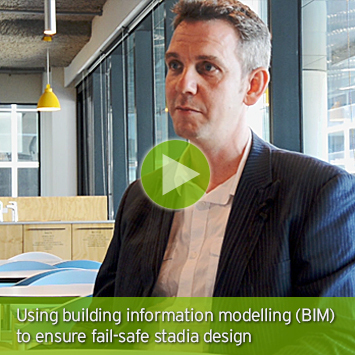 Click on the video on the left to see John Hainsworth, Aurecon’s Buildings BIM Leader, talk about how BIM can be used to ensure fail-safe stadium design. In this edition of our enewsletter, you will find the latest news from around Aurecon including project updates and key appointments. You can also read our latest thinking on powering urban rail systems. Aurecon’s Joey Loke, Julian Briggs and Johan van Zyl will be speaking at the Ozwater'14 conference in Brisbane. Disaster response specialist Carl Devereux will be talking about the Christchurch rebuild at the Urban Development Institute of Australia regional conference in Hunter Valley, New South Wales. Joel Walsh will be presenting a paper co-authored by Colin Eustace on integrated detailed rail simulation with the supply chain at CORE 2014 in Adelaide. Aurecon energy experts will be presenting papers at the collocated African Utility Week and Clean Power Africa conference in Cape Town. 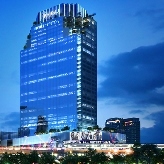 Bhiraj Tower is a 185-metre tall premium-grade office tower and retail development located in an exclusive business area of Bangkok, Thailand. Aurecon undertook civil and structural engineering for the project. 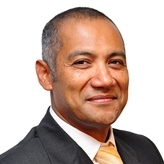 Abbas Jamie's latest column for Transport World Africa focuses on how cross-border infrastructure development in Africa has been identified as a key driver for economic development on the continent. The new Transpower substation forms a vital link in the upgrading of their 220 kV grid to cater for growing power demand in Auckland. 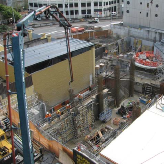 The confined site, fire and blast issues, high voltage power and complex temporary works meant that safety in design and innovation were core considerations. 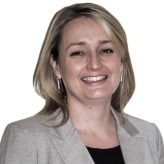 As project leader on the reference design for stage two of the Gold Coast Rapid Transit project in Queensland, Australia, Eva discusses how an integrated team environment has streamlined the design process.